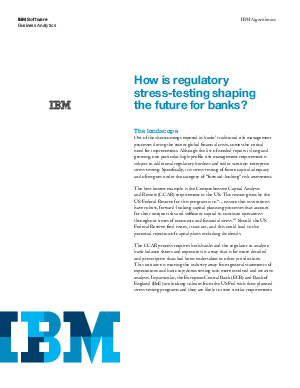 Offers > IBM > How is regulatory stress-testing shaping the future for banks? How is regulatory stress-testing shaping the future for banks? Learn how an integrated modeling approach to regulatory stress-testing can help banks improve their overall risk management.